Shivaratri 2013, Shivaratri, Maha Shivaratri 2013, Maha Shivaratri, MahaShivaratri, MahaShivaratri 2013, Lord Shiva, Maha Shivaratri in 2013, Maha Shivaratri date 2013, Shivaratri 2013, Shivaratri puja. Shivaratri in 2013 date is on Sunday, 10th March. Shivaratri is celebrated on Chaturdasi of the Magha Masam of Telugu Calendar. 14th night of the new moon during the dark half of the month of Phalguna. 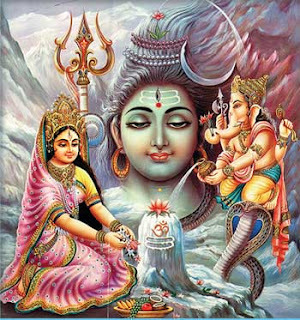 Maha Shivaratri is known as birthday of Lord Shiva and devotees worship Lord Shiva in Lingam form. Maha Shivaratri is a night devoted to worship Lord Shiva. On the auspious day of Maha Shivaratri people woke up early and clean the home and then completes the daily routine activities. people will do headbath and perform the shiva puja. Abishekam (Milk, Pure water, curd, ghee, honey and sandalwood paste) is also performed on this day. On this day of Maha Shivaratri fasting is observed without drinking water until the evening (Surya Astamayam) Sun goes down. After that people will offer the fruits, flowers as naivedayam to Lord Shiva. Espeacially on Maha Shivaratri puja with "Bilva" leaves is importent. Lord Shiva likes Bilva leaves. And offers lighting the light (Dupam and Deepam). Then the devotees eat the fruits, The fast is broken only the next morning. And the whole night Should be awake enchanting the name of Lord Shiva. On This day married women praying for the wellbeing and long life of their husbands. And unmarried women pray for a husband like Him. Men also performs puja for Lord shiva. The people want to take the vrata Monday will be auspious to start the Shivaratri vratam. Shiva Lingam was first worshipped by Lord Vishnu and Lord Brahma. The time of lingodbhavam is at 12 'O' clock On the Maha Shivaratri day. After that Shiva Parvathi kalyanam is performed. Lord Shiva drank deadly poison during churning of the ocean and his throat turned blue. Shivratri celebrates this event by which Shiva saved the world. The devotees strictly perform all the rituals of Maha Shivratri as it is considered to be an auspicious day to worship Lord Shiva, and it is believed that they will be cleared of their past sins. Maha Shivaratri is celebrated in temples highly on this whole day and night puja and abhishekam will be continuosely performed.